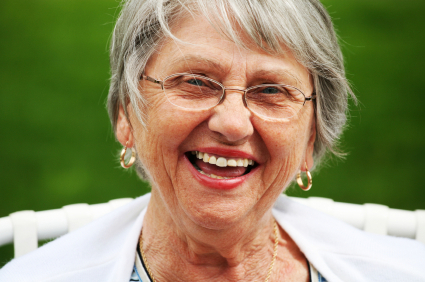 Adult day care offers older adults recreational activities and health services in a group setting. While senior centers are an excellent place for healthy individuals to meet for meals, services, and activities, adult day care assures that persons with special health needs receive individualized attention. They are an ideal resource for older adults who live with working relatives. Most adult day care programs have two components – a social component and a medical component. The social component of adult day care involves group activities, recreation, and exercise. The medical component provides personal assistance such as help with medications, feeding, special medical equipment, and rehabilitative therapies. Some adult day care programs are in brand-new facilities; others may be in church basements, nursing homes or hospitals, or even home-like settings. Many programs provide transportation to and from the center within a set radius of the facility. The availability and costs of adult day care vary widely. Services are usually priced ‘per day’. In some cases, state subsidies through the Area Agency on Aging, insurance or sliding fee scales may be available to help with the cost. In some states, Medicaid can pay for adult day care through a special home care waiver program. What Happens at an Adult Day Care Center? Health care – the medical model centers have a nurse on duty and offer services that vary from giving medications and checking blood pressure to delivering physical, occupational and speech therapies. What Should I Look For When Choosing An Adult Day Care Center? Of course, the adult day care center should be convenient to the older person’s home. If transportation is an issue, determine if your loved one’s home is within the service parameters for the day care’s transportation service. To be sure, a facility is right for your loved one, take time to visit the facility and note the activities and services that are available. Your loved one may prefer certain recreational activities or facilities. It may be wise to note the level of functioning of the current group of day care participants, and compare it to the level of functioning and needs of your relative. If your relative has Alzheimer’s Disease or dementia, an adult day care program specializing in serving older adults with dementia may be most appropriate. Ask the staff about their safety standards and licensing affiliations. Look at the lunch menus for selection and variety, especially if your relative will require a special diet. Talk to the staff about your loved one and his or her needs or preferences. Ask the participants for their feedback about the program. And of course, inquire about program costs and any financial assistance if it will be needed. These steps will help you find the best match for your family. How can Adult Day Care Help? When an older family member participates in an adult day care program, both your older relative and you benefit. For your older relative, adult day care can mean a chance to be more independent, more involved with other people, and more active. For you, it can mean a needed break from caregiving tasks, and the peace of mind to know that your loved one will be cared for during the day. Most people enjoy adult day care programs because of the excitement, energy, and caring atmosphere. Adult day care can also be a part of a care plan in conjunction with other home care services. A CAS Counselor can give you information about adult day care program availability and costs, as well as other resources available to older adults and their caregivers. I am worried about my loved one living on his/her own. I want to explore options when living at home no longer seems the best choice for my loved one. I am considering whether I should live with my loved one in order to provide in-home care. I believe my loved one needs someone to make decisions for her/him. I am concerned about whether I will be able to care for my loved one as he or she approaches the end of life. How can I manage being a long distance caregiver?